NEWSFLASH: I have moved to the University of Washington. I am recruiting heavily for both graduate students and postdocs for my team at UW. I have been a professor in the Paul Allen School of Computer Science and Engineering and Dept. of Electrical Engineering at the University of Washington, Seattle since September 2017. I was a Visiting Research Scientist at Google, working on datacenter accelerators, and before that I was a tenured professor at the University of California San Diego Computer Science and Engineering Department from 2005 to 2016. I received a PhD in Electrical Engineering and Computer Science from MIT, and my research centers around computer architecture but spans the stack from VLSI to compilers. I was lead architect of the 16-core MIT Raw tiled multicore processor, one of the earliest multicore processors, which was commercialized into the Tilera TILE64 architecture. 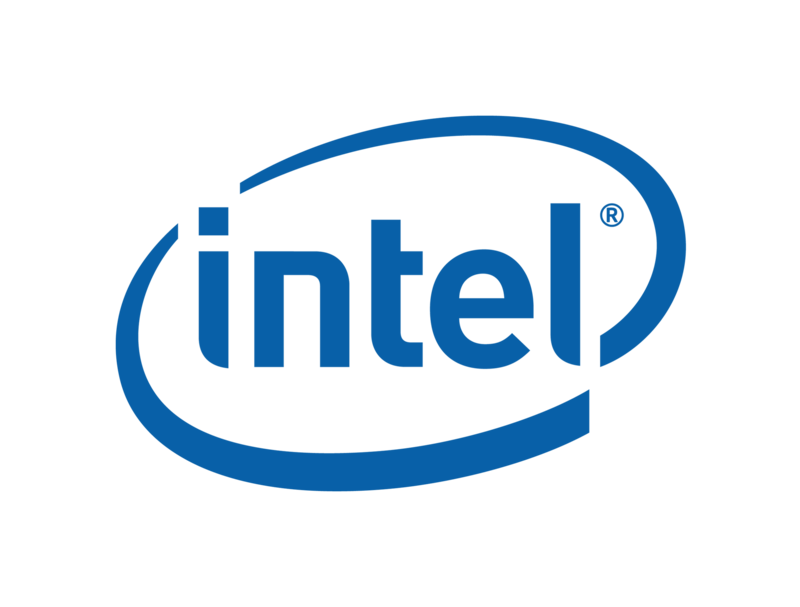 Recently, in 2017, Intel Skylake SP has adopted our scalable mesh of cores architecture that we proposed. I co-authored the earliest published research on dark silicon, including a paper that derives the utilization wall that causes dark silicon, and a prototype massively specialized processor called GreenDroid. I also wrote a paper that establishes the definitive taxonomy, the Four Horsemen, for the semiconductor industry's approaches to dealing with the problem, and a follow-on paper on the Landscape of the Dark Silicon Design Regime. My research on dark silicon fed into the ITRS 2008 report that led Mike Mueller of ARM to coin the term "dark silicon". More recently, I wrote the first academic paper on Bitcoin mining chips. In 2016, my team published the first paper on ASIC Clouds. We make the case that datacenters full of ASICs are in our near future, and show a prototypical ASIC Cloud architecture, how they should be designed, and how they save TCO. We proposed neural network ASIC Clouds before Google announced their TPU, and also proposed the use of video transcoding clouds for YouTube. If you read only one architecture paper this year, you should read the IEEE Micro 2017 Top Picks Issue ASIC Cloud Paper. In 2017, we published the first architecture paper on NRE, non-recurring engineering expense. We show how minimizing NRE can be more important for ASIC Cloud feasibility than optimizing accelerator speedup or energy efficiency. We present the first ever architect's model for NRE, using current industry parameters (paper) (youtube talk), and opening up a new area of research. With the rise of specialization and the end of Moore's law, driving down the cost of design will surely be an important driver of future research. Also in 2017, we taped out the 511-core RISC-V compatible Celerity chip, in TSMC 16nm technology. I occasionally help companies and other legal professionals evaluate their patent portfolios, and provide advice to companies leveraging the Tilera TILE64 architecture, or that are developing cryptocurrency hardware. I have broad expertise in hardware and software, and on the Bitcoin cryptocurrency. My research is funded primarily by the National Science Foundation (NSF), including the Secure and Trustworthy Cyberspace Program, and DARPA/MARCO's C-FAR, part of STARnet. Between the gaps at school, I worked on Apple's NuKernel microkernel, and co-wrote the first version of Connectix Virtual PC, an x86-to-PowerPC dynamic translation engine, which was acquired by Microsoft. I also contributed to the ChipWrights Visual Signal Processor in its earliest stages. I received the NSF CAREER Award in 2009 and tenure in 2012. I direct the UW Center for Dark Silicon and the Bespoke Silicon Group. My colleagues and I were among the first to demonstrate the existence of a utilization wall which says that with the progression of Moore's Law, the percentage of a chip that we can actively use within a chip's power budget is dropping exponentially! The remaining silicon that must be left unpowered is now referred to as Dark Silicon. Our research on Conservation Cores and GreenDroid proposes new architectures that exploit dark silicon. Our paper on the The Four Horsemen (slides) overviews the landscape of architectural approaches to addressing dark silicon. In addition to researching architectures for dark silicon, I look more broadly at sources of under-utilization in current day chips, spanning from a) power limitations because of poor CMOS scaling, b) overly large software engineering costs for parallelizing programs for multicore chips, and c) lack of parallel application domains. The GreenDroid Mobile Applications Processor, which employs Conservation Cores to fight dark silicon. Our ASPLOS 2010 paper is one of the earliest peer-reviewed architecture papers to have a cogent description of the utilization wall that causes the Dark Silicon problem, and to propose specialization as an architectural solution. Our work, Is Dark Silicon Useful? Harnessing the Four Horsemen of the Coming Dark Silicon Apocalypse, which appeared in DAC and DaSi 2012, and is followed by a paper in IEEE Micro 2013, is the first paper to overview the landscape of architectural approaches that try to address the dark silicon problem. We describe the four horsemen -- four approaches to dealing with dark silicon, each with deep-seated challenges but also unique capabilities. See the slides for a very entertaining presentation on the shrinking, dim, specialized, and deux ex machina horsemen. Kremlin, a tool that, given a serial program, tells you which regions to parallelize. To create Kremlin, we developed a novel dynamic analysis, hierarchical critical path analysis, to detect parallelism across nested regions of the program, which connects to a parallelism planner which evaluates many potential parallelization to figure out the best way for the user to parallelize the target program. the San Diego Vision Benchmark Suite, which distills the emerging computer vision application class into a collection of nine benchmarks written in a research-friendly style. This work was co-advised by Prof. Serge Belongie, a member of UC San Diego's top-notch vision faculty. More recently, we have developed CortexSuite, which extends SD-VBS with a large suite of machine learning and other applications that traditionally the brain has been better at that computers. The Celerity Open-Source 511-Core RISC-V Tiered Accelerator Fabric. by Scott Davidson, Shaolin Xie, Chris Torng, Khalid Al-Hawaj, Austin Rovinski, Tuto Ajayi, Luis Vega, Chun Zhao, Ritchie Zhao, Steve Dai, Aporva Amarnath, Bandhav Veluri, Paul Gao, Anuj Rao, Gai Liu, Rajesh K. Gupta, Zhiru Zhang, Ronald Dreslinski, Christopher Batten, Michael Bedford Taylor. The Evolution of Bitcoin Hardware. This is a great overview of Bitcoin mining hardware evolution, a follow-on to my CASES 2013 paper, it updates that groundbreaking paper to 2017. Specializing a Planet's Computation: ASIC Clouds. Read this to get a great overview of ASIC Clouds. Moein Khazraee, Luis Vega, Ikuo Magaki and Michael Bedford Taylor. Moonwalk: NRE Optimization in ASIC Clouds or, accelerators will use old silicon. and show how NRE can be optimized/evaluated for ASIC Clouds. Moein Khazraee, Lu Zhang, Luis Vega, and Michael Bedford Taylor. ASPLOS 2017. (paper) (youtube talk) (talk)(bib). and defines the canonical ASIC Cloud architecture. We predicted the Google TPU before it was announced, and also forecast the deployment of video transcoding clouds. Selected as a 2016 Top Picks Paper. International Symposium on Computer Architecture (ISCA), June 2016. Bitcoin and The Age of Bespoke Silicon. A Landscape of the New Dark Silicon Design Regime. Design Automation and Test in Europe (DATE), April 2014. DATE 2014 talk. Berkeley E3S Symposium, Oct 2013. Design Automation Conference (DAC), June 2012. (pdf) (bib) (slides). Also presented at the Dark Silicon Workshop (DaSi) 2012. (Cite this for first peer-reviewed Utilization Wall & Dark Silicon Analysis. GreenDroid: A Mobile Application Processor for a Future of Dark Silicon. (Cite this for dark silicon's impact on multicore scaling. Nathan Goulding, Jack Sampson, Ganesh Venkatesh, Saturnino Garcia, Joe Auricchio, Jonathan Babb, Michael Bedford Taylor and Steven Swanson. 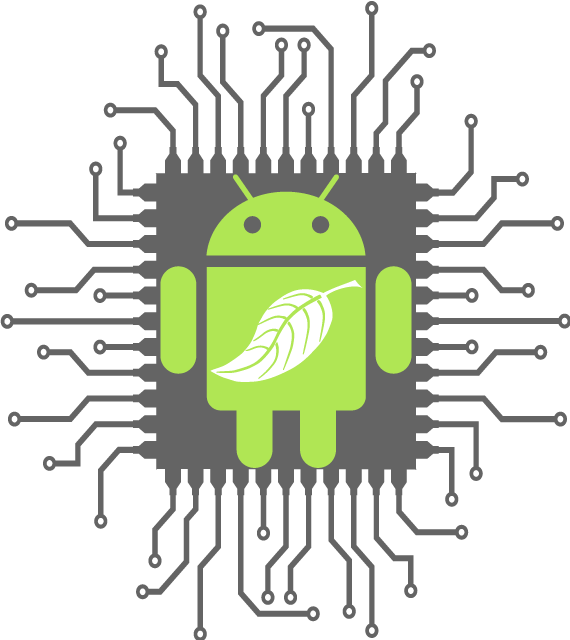 The GreenDroid Mobile Application Processor: An Architecture for Silicon's Dark Future. Nathan Goulding-Hotta, Jack Sampson, Ganesh Venkatesh, Saturnino Garcia, Joe Auricchio, Po-Chao Huang, Manish Arora, Siddhartha Nath, Jonathan Babb, Steven Swanson, and Michael Bedford Taylor. May 2018 Released first version of Luis Vega's excellent Amazon F1 Accelerator Tutorial. Mar 2018 Received a Google Faculty Research Award! link. Feb 2018 Received an Alibaba AIR Research Award! link. Dec 2017 Interviewed by Wired for this article on Global Bitcoin mining energy usage. Aug 2017 Interviewed in this article about Bitmain (the primary Chinese bitcoin mining chip company) moving into ML datacenter chips, an act foreshadowed by our work on ASIC Clouds. Apr 2017 We taped out Celerity, a fully open source RISC-V chip with neural network accelerator that contains 511 RISC-V cores, in 16 nm TSMC technology. UCSD, Cornell and Michigan teamed together on this ambitious project and we completed the entire design and tapeout in less than a year. The architecture of this chip was published at Hotchips 2017, and was jointly presented by one student each from Cornell, Michigan, and my team, the Bespoke Silicon Group. Mar 2017 Check out my guest sigarch blog post on the Geocomputer Computer and the Commercial Borg. This is the lead article in a series of post by top computer architects across the planet! Local copy: pdf. Jan 2017 Sabbatical at Google in their datacenter accelerator group (until September)! Dec 2016 Our second ASIC tapeout, a ten-core manycore RISC-V processor, sent to the fab on Dec 22! Dec 2016 Our ASIC Cloud ISCA paper was accepted as an IEEE Micro Top Pick. This means it was one of the 12 best computer architecture papers out of the hundreds published in 2016! Nov 2016 Gave a talk at the fifth RISC-V workshop on some of our open source activities. Nov 2016 Our ASPLOS paper was accepted. Congrats Moein, Lu, and Luis! Oct 2016 Our first ASIC tapeout, a high speed communications interface chip, sent to the fab! that showed the utilization wall that causes dark silicon, and proposed specialization as the solution. and show the entire TCO analysis, and a prototypical architecture and methodology for designing 4 kinds of ASIC clouds. Aug 2016 Invited Talk at DARPA / MTO CHIPS Workshop! Jun 2016 See my talk, on open source hardware at the Architecture 2030 workshop. (slides). May 2016 Tech report on ASIC Cloud released. Jan 2016 NSF has funded our $3M proposal, joint with Rosario Gennaro (CUNY), Abhi Shelat (UVa), Siddhartha Garg (NYU), Mariana Raykova (Yale), and my group (Bespoke Silicon Group). This is exciting! 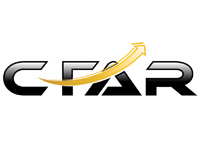 Sept 2015 Presented CortexSuite to DARPA StarNet SONIC center at UIUC! Sept 2015 Official release of Kremlin is finally out thanks to Prof. Sat Garcia!! Apr 29 2015 Final interview about possibilities for dark silicon in this article. Apr 14 2015 Interview about Dark Servers in this article in Semiconductor Engineering. Apr 9 2015 One on one interview about Dark Silicon in this article in Semiconductor Engineering. Feb 2015 MBT serves as General Chair of HPCA 2015! Feb 2015 Quoted discussing 14nm in this article in Semiconductor Engineering. Jan 2015 Our work on Dark Silicon and GreenDroid is extensively discussed in this article at Semiconductor Engineering. 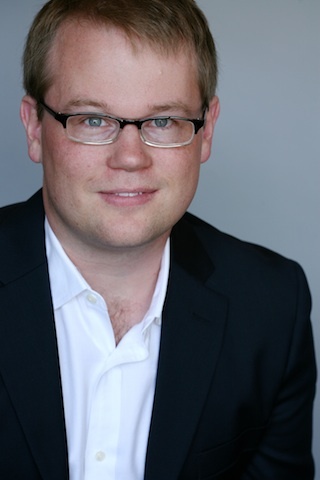 Nov 2014 My work on Bitcoin referenced in this coindesk article on Moore's Law. Sep 2014 More of my work related to Bitcoin references in this coindesk article on immersion cooling with a few quotes from me. June 2014 My views on a DAC panel quoted and discussed in Brian Fuller's article in semiengineering.com on challenges for Computer Vision chips. June 2014 Interviewed in this article in Bitcoin magazine. May 2014 Article in Korn Ferry Institute featuring my CASES paper. May 2014 This work on state attacks on Bitcoin employs the models in my 2013 CASES paper on Bitcoin mining. Mar 2014 My Bitcoin mining paper work referenced in Electronic Cooling Magazine. Mar 2014 See my E3S Talk, entitled "A Landscape of the New Dark Silicon Regime". I gave a similar talk at DATE 2014 in Dresden, Germany. Here is some press in the EE Journal Blog. Jan 2014 Article in Data Center Knowledge discussing my Bitcoin CASES paper. Also quoted in a Venture Beat article. Sep 2013 I helped a reporter from the Wall Street Journal put together this front page article on Bitcoin mining. Sep 2013 New CASES paper, Bitcoin and the Age of Bespoke Silicon. Sep 2013 New IEEE Micro paper, A Landscape of the New Dark Silicon Design Regime. My PhD student, Jack Sampson -> tenure-track assistant professor @ Penn State. My PhD student, Saturnino Garcia -> tenure-track assistant professor @ University of San Diego. My lab is now sponsored by DARPA StarNet's $28 Million C-FAR center. June 2012 I presented my paper Is Dark Silicon Useful? Harnessing the Four Horsemen of the Coming Dark Silicon Apocalypse (slides) at DAC 2012 and DaSi 2012. November 2012 Quoted in this article in the November 2012 IEEE Computer Magazine on Exascale computing. May 2012 Quoted right at the beginning of this May 2012 IEEE Computer Magazine Article on Dark Silicon, right after Bill Dally! GreenDroid and Conservation Cores get a big shout-out for being a key approach for attacking the Dark Silicon problem. March 2011 GreenDroid IEEE Micro article, The GreenDroid Mobile Application Processor: An Architecture for Silicon's Dark Future now available! Nov 2010 UCSD ACM Programming Team, which I coach, invited to Worlds in Egypt! Aug 2010 We present our GreenDroid mobile application processor design at Hotchips! Our Hotchips work was the only academic talk in the entire conference. MIT Technology Review App-Specific Processors to Fight Dark Silicon. EETimes Android processor shines light on dark silicon. San Diego Tribune UCSD: New technology will extend smartphone battery life. IEEE Spectrum GreenDroid Application Processor Will Battle Dark Silicon. Register.co.uk CPU, GPU makers gussie up their wares for Hot Chips. EETimes Asia UCSD researchers develop efficient app-specific cores. Slashdot The Fight Against Dark Silicon. Embedded Insights UCSD turns on the light on dark silicon. Light Reading Chip Design Fights Smartphone Power Limits. inhabitat 'Dark Silicon' Could Boost Smartphone Battery Life 11X. First conference publication to have dark silicon in the title. Nov 2009 Just released The San Diego Vision Benchmark Suite, a benchmark for the vision application domain, written in MATLAB and clean C. It's available at parallel.ucsd.edu/vision. Nov 2009 Our paper, Conservation Cores: Reducing the Energy of Mature Computations, was accepted into ASPLOS. If you read one architecture paper this year, read this ASPLOS Paper. First paper that describes the utilization wall that is the source of dark silicon, and proposes that heterogeneity is the answer. July 2009 Successfully passed the FAA written test and landed an airplane four times at Long Beach Airport (LGB)! June 2009 National Science Foundation CAREER Award: Energy-Efficient Parallel Architectures for Computer Vision. Who came up with the term "dark silicon"? The first use of the term in print was a quote by Bob Metcalfe in March 1997 in the IEEE Internet Computing magazine. However he was referring to all of the sand in the world that has not yet been turned into chips! The first mention of the term I've seen in its current context was by ARM CTO Mike Muller at ARM techcon in October 2009. I've heard other folks say that the term was used by others in ARM and/or HiPeaC community earlier than then. Although ARM techcon happened after we had submitted our ASPLOS paper in Aug 2009 that discussed the utilization wall, we thought it was genius and decided to use the term in the title of our immediately following Hotchips 2010 paper. How did our group arrive at the utilization wall which causes Dark Silicon, and specialization as an approach to attacking it? In 2003, I spent a few months reading 300+ ISSCC and IEDM papers with the goal of comparing the (very different) IBM CMOS7SF and Intel P858 fabrication processes as part of a Raw-versus-Pentium-3 section of the Raw ISCA paper I was working on. I was also trying to understand VLSI scaling better so that we could make better proofs about Raw's optimality. In 2004, I was trying to come up with some ideas for research as a faculty member. I decided to analyze the scalability of multicore chips like Raw across process generations. Using skills picked up from the study I did for the Raw ISCA paper, I arrived at the conclusion that there was an exponentially worsening power issue with multicore scaling and that the problem was the utilization wall and the dark silicon it creates. The analysis is the same as appears in our subsequent grant proposals and papers. On the interview trail for faculty positions in 2005, I tried to sell the idea of the utilization wall one-on-one with interviewing faculty and further proposed that the "ugly chip" (a massively heterogeneous design) was a logical response. Most everybody didn't believe me or thought it was a terrible idea (James Hoe of CMU, to his credit, thought it was interesting.). After one round of rejection by peer review, the proposal was funded. The utilization wall appears in the abstract of our NSF Award in July 2008. After many paper resubmissions, countless co-advising trials and tribulations, we finally got the utilization wall in peer-reviewed academic literature in this March 2010 ASPLOS paper. As one of the lead students in the MIT Raw project, I led the design and implementation of the Raw microprocessor, which targeted the leading VLSI technology of the time. I also contributed heavily to almost all of the software systems that we built to support the microprocessor. Raw was one of the earliest fabricated multicore processors, with 16 cores on a single die, back in 2002. The purpose of Raw was to demonstrate architectural solutions to scalability problems in modern day microprocessors. The Raw architecture exposes the transistor resources of VLSI chips through the tile abstraction, the pin resources through the I/O port abstraction, and the wiring resources through on-chip networks. Raw was commercialized into the Tilera TILE64 architecture. 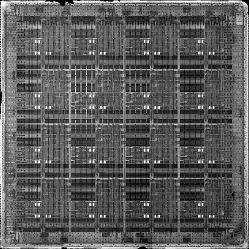 Because the Raw architecture exposed the on-chip resources more effectively than existing sequential architectures (for instance the P6 micro-architecture, the basis of the Pentium-M), Raw was able to outperform Intel desktop processors, implemented with better process technology, across a variety of applications. One of the key ideas that came out of the Raw research was the formulation of the Scalar Operand Network (SON), a unique class of sub-nanosecond network responsible for routing operands between functional units and memories in a distributed microprocessor. My team implemented the 16-tile Raw microprocessor, shown to the upper-left, in IBM's SA-27E 180 nm 6-layer Cu ASIC process. The 18.2 mm x 18.2 mm chip was, at least at the time, the largest design that the IBM ASIC division had targeted for SA-27E. Each tile contains computing power equivalent to a single-issue pipelined processor. A supercomputer prototype, based on 4-chip boards, that scaled to 64 Raw chips (1024-issue) was constructed. More pictures are available here. 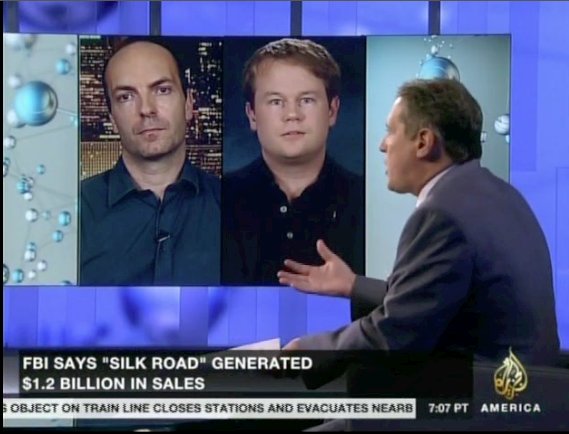 Here are my notes about Getting Interviewed as an Expert on TV, based on my experiences getting interviewed by various newspapers, radio shows, and a live TV news program about Bitcoin and the Silk Road. at Massachusetts Joint Committee On Criminal Justice on April 2, 2003. Matthew A. Verga, Wake Forest Intellectual Property Law Journal 104, May 2004.